September 14 and 15, 2019 from 10 a.m. to 4 p.m. 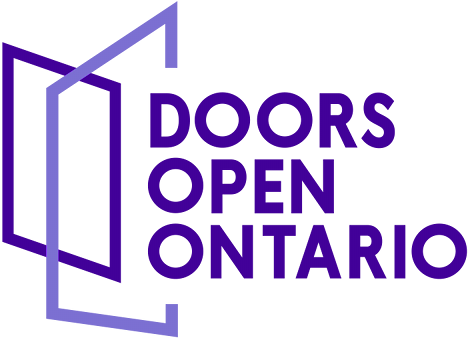 Doors Open London, in its 18th year, is one of the oldest Doors Open Ontario host cities in the province. This year’s event is themed on “Untold Stories of the Forest City.” Local museums and participating organizations will tell visitors their untold stories and histories through re-enactments, interactive programs and pop-up theatre. This year's event weekend will also centre on the diverse ways that Londoners connect and share information, express their cultural traditions and identities, and connect to the wider world. From technologies such as television and radio broadcasting to the expression of Indigenous oral traditions, communication animates London and brings our stories to life. This unique two-day heritage event opens up spaces throughout London free of charge for local residents and visitors to engage with. It is a weekend designed to encourage visitors to explore, ask questions and reflect as they visit a variety of organizations and venues throughout the city. This vibrant program supports the local heritage community and builds civic pride. London is nestled in the heart of southwestern Ontario near the forks of the Thames River and is home to the region’s economic, entertainment and cultural hub. London is Canada’s 11th largest city and an ideal environment to work, play and live. London put down its creative roots early, and over the years has nurtured a cultural heart and soul that has produced some great Canadian talent in both the visual and performing arts. From Museum London to Orchestra London to the main stage of The Grand Theatre, from Storybook Gardens and the London Regional Children’s Museum to East Park and Fanshawe Pioneer Village, culture thrives in nearly every corner of the city. Doors Open London will provide an opportunity for all Londoners and visitors to access, discover, celebrate and learn in the many tours in museums, art galleries, theatres and other cultural hubs in London over this two-day weekend event. Please contact participating sites directly if you wish to volunteer for Doors Open London.